Appalachia raised Ashley York notes how southern mountain people become marginalized even in their home states. She recalls the culture shock of leaving her small town and attending the University of Kentucky. In the documentary Hillbilly (2018), York (with co-director Sally Rubin) tells the story of her own family with a broader look at the “hillbilly” subculture. My first exposure to the hillbilly was through The Real McCoy‘s and The Beverly Hillbillies on television. The characters were stereotypes but benign for the most part. Folksy and unsophisticated, they routinely outwitted the city slickers at their own game. In the fictional North Carolina town of Mayberry, Andy Griffith would pick and grin with The Darlings, hillbilly boys down from the mountains, played by bluegrass band The Dillards. Hee Haw later expanded on the comic hoedown format to great commercial success. 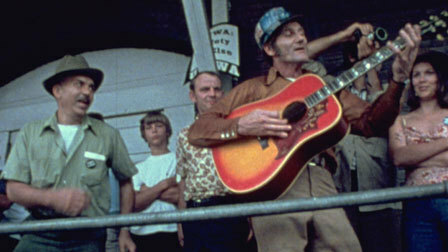 As shown in the film, a more pernicious “dumb hillbilly” also persisted, from the Li’l Abner comic strip to the riverbillies of Deliverance (1972) and other negative portrayals. 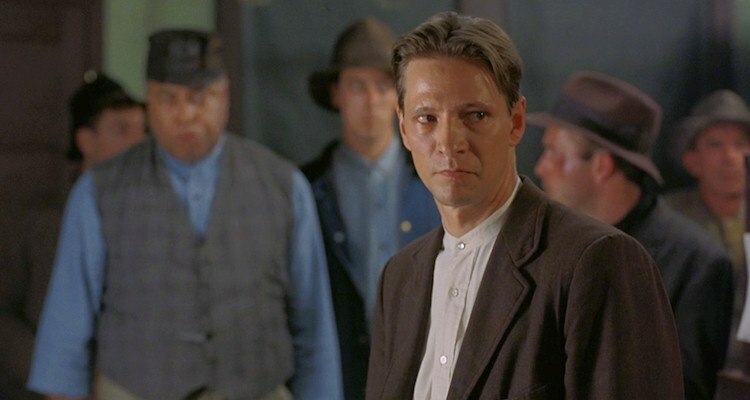 More recently, Winter’s Bone (2010) and television shows Justified and Ozark set themselves in the world of hillbilly outlaws where drugs are rampant. After the 2016 election of President Donald Trump, author J.D. Vance (Hillbilly Elegy: A Memoir of a Family and Culture in Crisis) made the rounds of cable news shows explaining why his people, rural Appalachians and those in the hillbilly diaspora of the Midwest, supported Trump. He cited a perceived neglect by the Democrats as an important reason. However, some of the interviewees in Hillbilly voted for Barack Obama twice before voting for candidate Trump. Despite that, Appalachia has a long history of political activism and progressive politics as seen in Matewan (1987) directed by John Sayles and the Barbara Kopple documentary Harlan County U.S.A (1976). Hillbilly shows how that proud tradition hasn’t stopped with the rise of Trump. The rarely spoken of African American community of Appalachia is prominent in the film. Feminist writer bell hooks and the multicultural Affrilachian Poets express a critical but affectionate view of their native region. This entry was posted in Events, Movies and tagged 2018 Los Angeles Film Festival, Affrilachian Poets, Ashley York, Bell Hooks, Matewan, Sally Rubin, The Dillards by crimsonkay. Bookmark the permalink.